Julie Ferwerda's website | Today’s Hottest Topic: Hell or No Hell? Today’s Hottest Topic: Hell or No Hell? Traditional teaching of hell is most definitely a “hot topic” right now, and there’s good reason for it. HUH? If I understand correctly, these people are saying that the supposed good news that’s better than Love Wins is “good news” precisely because there is a hell and that most people who ever lived are going there. God wins by damning most of His own creation to hell, and that is somehow good news. I’m sorry, but that’s a pretty lousy title and even worse theology. In the rush to put out all the new support-for-hell books, these mainstream leaders will be doing what they believe is their best to protect millions of inquisitive people from “putting their souls in jeopardy.” That’s really an age-old tactic of getting ahold of people before they have the chance to start thinking or reasoning for themselves, scaring them into not questioning. But as these seasoned theologians and teachers begin offering their best defenses of the hell doctrine, will they present their evidence adequately? Responsibly? HONESTLY? Or will they use the same centuries-old trickery, manipulation, and misunderstanding of Scriptures that rendered the lie of hell in the first place, disregarding the greater evidence before them in exchange for traditions of men? My husband believes we are in the beginning of a Digital Reformation. The access to crucial information is there for lay people like you and me as never before. All we need are people who are willing to ask, do a little research, and be willing to admit to themselves where the evidence leads. Oh yes, and to buck the system. If you’re inclined to find out if you’ve been misled on this topic, I strongly suggest you read both sides of the argument—with an open mind—and decide for yourself. I suggest you start by reading, Raising Hell: Christianity’s Most Controversial Doctrine Put Under Fire, and then compare to what others are saying. You can reap the benefits of my research and then take it beyond by doing your own! The evidence against hell, both scripturally (in the original languages) and historically, is astounding! I also recommend you head over to the Amazon page and see what people are saying about Raising Hell. While you’re there, pre-order a copy or buy the kindle version for $.99. 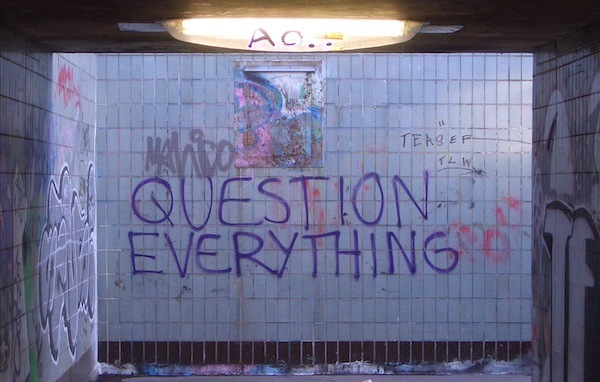 Dare to question. Dare to ask, “What if?” This is happening for many thousands of believers worldwide, which is why it’s such a hot topic right now. Maybe you’ll find, like I did and like so many others, it’s time for all hell to break loose! Julie! I am loving this book.. my sister fowarded it to me! About half way through it…. your flow and your wording speaks right to the heart. Thankyou so very much for sharing all your findings with us! Amy that is so great to hear! Thanks for commenting. I do hope you'll help out the cause and leave an Amazon review when you're done. Trying to get some positive reviews to encourage folks to question and look into the matter. Keep me posted! Hey who is your sister? Just wonder if I know her. Yes, Julie.. you know Becky. :) ((waving)) Hi Amy!!! Good to see you! Oh yes, Becky! She is a new acquaintance through you. How exciting is the Internet? I love it! I have a big "ecclesia" on Facebook that I thought I'd try it out on. They read a PDF copy. You are welcome to get the PDF too if you don't mind reading on your computer. I will make the PDF available for free always on our website so that people in other countries can have access. Already made its way to 8 countries that I know of, including to ME countries! Let me know if you want the PDF…I'll send it to you. Our website will go up this week and anyone can download it from there too. What about 2 Thessalonians 1:9? Julie may have a different take on things but from reading previous comments on the blog, I think she started out holding the belief that "God wins by damning most of His own creation to hell, and that is somehow good news. I’m sorry, but that’s a pretty lousy title and even worse theology." In other words, the idea of hell as taught by christendom down through the ages was offensive to her. She started as with a core assumption, held by faith, that God would not, could not, should not be like that. Therefore it follows that the translators of the Bible who included the concept of hell were either idiots or deliberately deceptive to further this "warped" view. Although not a Greek or Hebrew scholar, she trusted the translator of the Interlinear and believed that a careful reading of the Interlinear would support her position that there was no need for hell. People don't really have free will, God will ultimately bring everyone into a good relationship with him in the end and there are no ultimate consequences for any actions, only God's actions count. The concept of hell is not only incorrect but it also turns away people from faith and so it is wrong for multiple reasons. Anyone who doesn't see this truth is either not open to the "truth" or has not yet been exposed to the "truth". Anyone who hears the arguments but does not agree is still stuck in old ways at best, like Julie used to be, or worse they are deliberately holding on to the false knowing it is false. This "truth" has been there all along, it has just been suppressed, although a small remnant has remained true. I'm sure that is an oversimplification but I think I have the gist correct. The ironic thing, is that if I have the gist correct, and Julie is correct, then it seems to me that even the folks who don't agree and think that the views are heretical are to be loved and left alone because in the end it all comes out in the wash, i.e. there are no ultimate consequences whether you're a Mother Theresa or a mass murderer…only temporal and limited consequences. That is fair because God ultimately causes all pain and suffering ( because people lack free will) and people aren't held responsible for their actions. It also follows that people who don't agree with Julie's perspective don't have a choice in the matter, God is "hardening" their hearts. The dove Noah released from the ark soared across the wide seas that engulfed the world, found no roost, and sought again the refuge of the great vessel. So man has departed from the truths of the bible, using wings of independence to seek distant horizons. But like the weary dove, through the years many have returned to the changeless certainty of God's Word following years of aimless flight. As one generation begins to drift from the Gospel, the following generation finds it anew, clinging tenaciously to its teachings as though they were the first to discover them.